This rare, black sea glass piece was found in the shoal of Santa Cruz, CA. I braided sterling silver wire and added it to a backless bezel. I hammered down the bezel to capture the stone on both sides. The bail is hand engraved and includes an 18 inch chain with clasp. 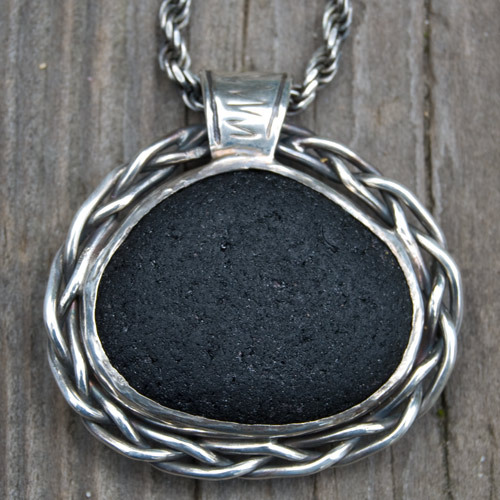 This piece measures approximately 1.5"x 1.75" x .25"